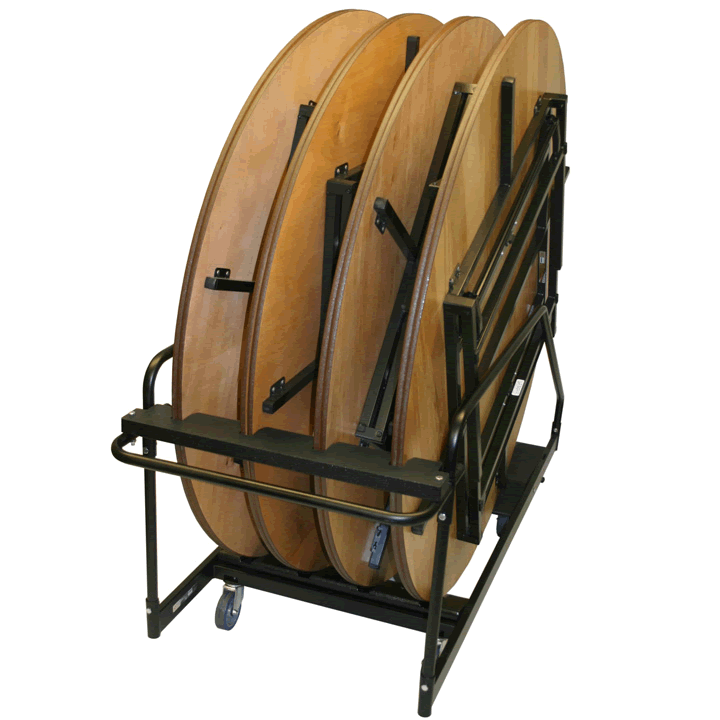 Transport your SICO® folding leg tables easily and securely into and out of service. 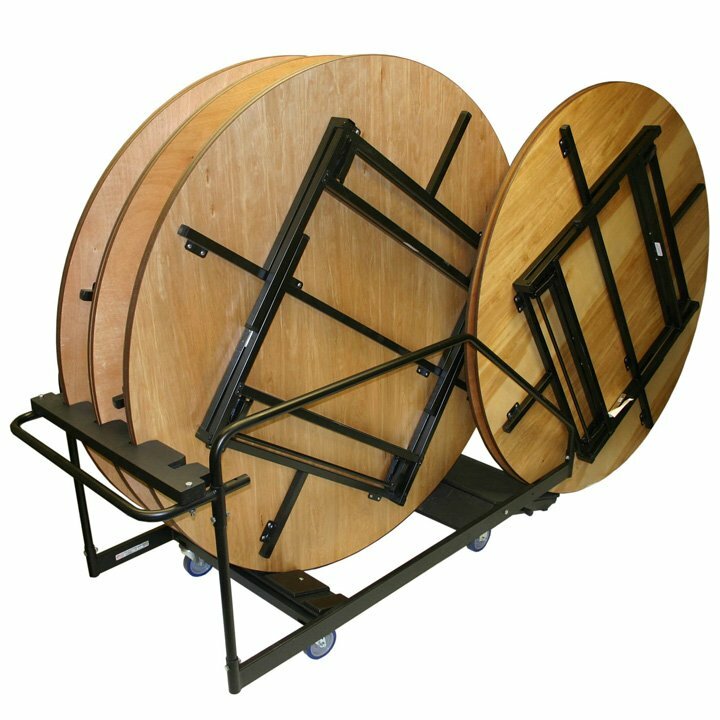 This multiple-use transport caddy is designed to transport and store Round, Oval, Half-Round & Crescent shaped FLT tables securely in place. 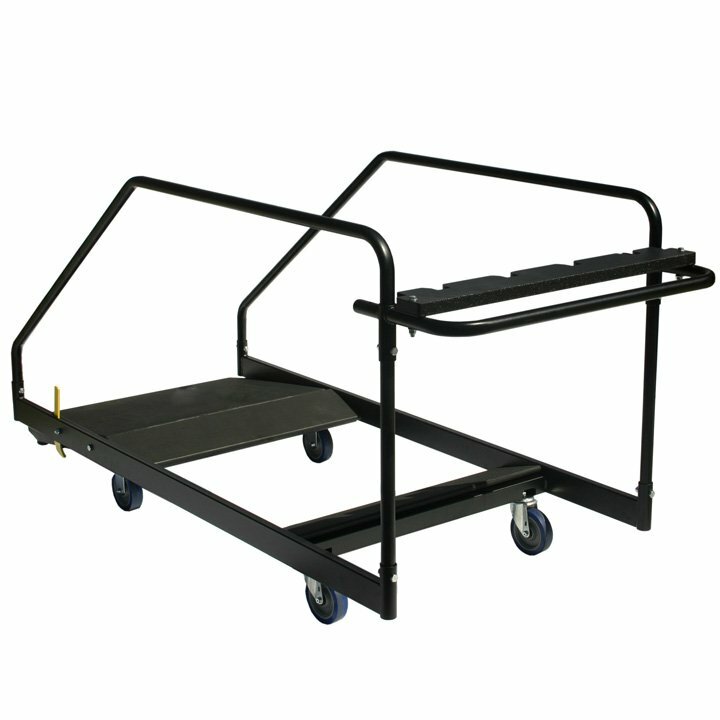 Easy to roll round tables on and off transport caddy with integrated ramp. 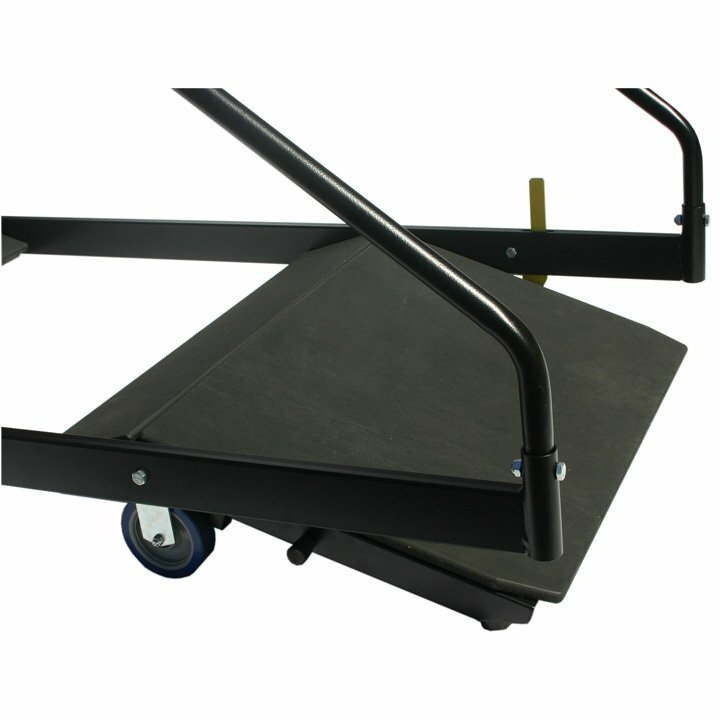 Moveable ramp locks into lowered (loading) position and brakes casters to prevent movement while loading tables. Spring-loaded ramp requires no lifting to return to transport position. Ramp Release Lever disengages the locking caster system and raises the ramp. Foot operated gravity lock holds ramp in lowered position. Nesting block holds up to 12 FLT tables securely in place. Moveable nesting block adjusts to accommodate both 60" (152cm) and 72" (183cm) round folding leg tables. Tables fit within nesting blocks that hold them upright for ease of loading. 14 Ga. Tubular Steel Frame secures tables during transport. All frame components are minimum 14 gauge steel. Railings and handle are constructed with tubular 1-1/4" 14 gauge steel for added strength and durability. Finished in black powder coat epoxy paint. Four premium roller bearing 5" (13cm) urethane casters. 2 stationary. 2 swivel for easy maneuverability. Unique caster locking system, keeping caddy from moving while loading / unloading. Wood decking surface coated in abrasion resistant durable Tuff-Deck. Fastened with expansion rivets. Neoprene glides located on bottom of ramp protect floor. Dimensions: 84″ L x 35″ W x 41″ H (214cm L x 89cm W x 104cm H). Dimensions: 89″ L x 59.5″ W x 85″ H (226cm L x 152cm W x 216cm H). Protected by a 3-Year Warranty against manufacturer’s defects. Lifetime Warranty on welds.